Well done to our WG6 for another busy term! It’s been a hectic time of hard work, balanced with opportunities, exciting enrichments, rewards and inspiring visitors coming to the school. 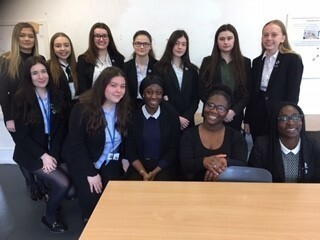 Year 13 have continued to work hard on their submission of NEA assignments as well as preparing for the upcoming examinations and completing EPQ’s. It has been good to see many study support groups being set up. Pictured, Student Leaders and Subject Ambassadors at a recent Open Event. Congratulations to our newly elected Head Students; James G, Jonathan B, Lori S and Jess R. As part of the election process all nominees presented a school assembly, attended an interview with the Senior Leadership Team and faced a staff and student ballot before being appointed – a very rigorous process! 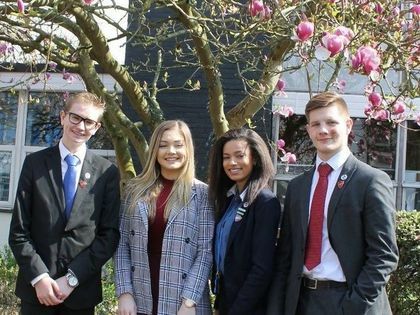 Our Head Students play vital roles across the school providing direction and support to the Student Leadership Body as well as working collaboratively with staff and students providing a positive role model and ensuring good communication and support across the school. WG6 Celebration Assembly. This special assembly represents the culmination of the hard work and determination of our WG6 student body. 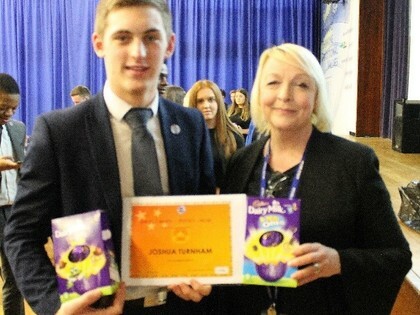 Special Subject Awards and Head of Year Awards are presented in recognition of the standard and improvements of our students’ work rate and ethos building upon the PPE results. A huge congratulations to Head Girl, Jess R , who scooped two awards in the Bromley Festival of Music & Speech. 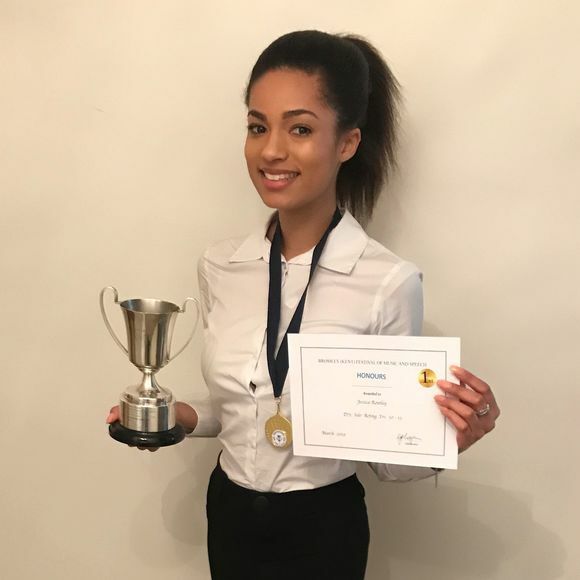 Jess secured the Gold Award in her category and went on to be presented with the overall award The Soroptimist Cup, for women in drama. Careers Convention. A large number of universities and businesses were represented at our annual further education and apprenticeship convention. 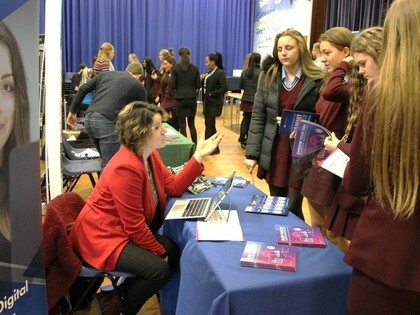 All exhibitors were able to offer first-hand advice and information to our Y10 /11 and 12 students to help navigate the way through the many opportunities available to them. Luke C of Y12 has provided the following review of the apprenticeship element of the convention. Overall, I believe that the convention was a well-planned, knowledge-packed activity with ex-students conveying the new experiences they’ve had with different universities or companies. I received vital information about apprenticeships and degree apprenticeships, which is something I’m very likely to be involved in following Y13. My main focus of study after Y13 would be based around Economics and Business, such as investment banking and internal audit for big companies based in London. A BBP representative gave me an insight of what I would need to obtain an apprenticeship for the company, such as applying in the Easter months for a placement in the following school year (September). She was very helpful and she cleared a lot of things up for me that I wasn’t sure about / or had little knowledge about. Also, she told me that you did not need specific A Level subjects to do the course, but some are more preferred in different fields. 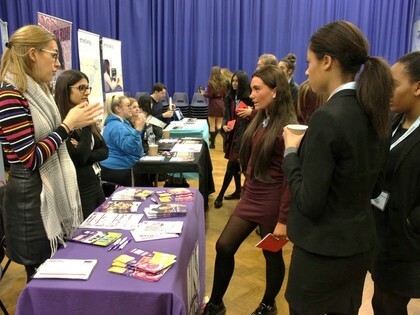 Furthermore, she told me that Y11s can also apply for these apprenticeships as an alternative to further education or sixth form, therefore it offers a very diverse training scheme for just about anyone interested in the course they would like to choose. Also, a representative of QA apprenticeships gave me an alternative view of different career choices to choose which would still lead me to what I would like to do, which inspired me to work very hard at the company I choose to do my apprenticeship at due to the fact that the company may choose to offer me a full time work placement there, as well as offering training for all the essential qualifications I need. There were also quite a few other stands available, such as Vacancy Snapshot and Laing O’Rourke. I also attended a marketing seminar, ran by a very confident representative who has expertise in the marketing sector. He conveyed very vital information about marketing and how it can affect almost everybody on a day to day business, and how marketing is used in ‘just about everything on social media’. After this event, I came to a conclusion that my ideas on what I would like to do may alter every so often, and that I should not be scared of making decisions about my career choices, as long as it is something I am passionate about doing. The representative also told me that it is very important to take in new knowledge when doing brand new things, as it travels with you throughout your life. In conclusion, the convention was an informative and motivating experience towards my plans of applying and obtaining an apprenticeship or degree apprenticeship. 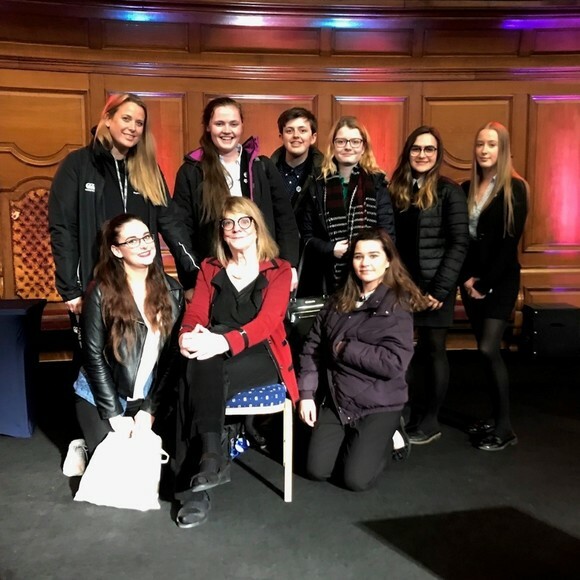 A group of 33 Year 12 and Year 13 Psychology students attended the Psychology Conference at the Emmanuel Centre in Westminster. There were some big names in the field of psychology talking about their work and how this can lead to big change in society. All talks were tailored to link in with the topics within the A Level and all students found it insightful and engaging. The ‘headline act’ of the day was a lecture from Elizabeth Loftus who spoke about her pioneering work into human memory; more specifically; false memories. 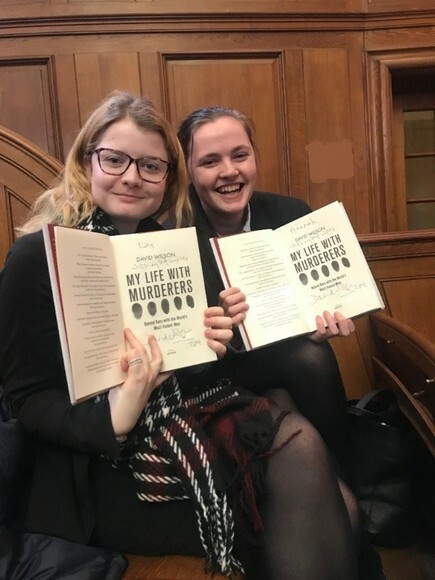 Key studies by Loftus are crucial to the study of A Level Psychology and students were able to hear about progress that has been made within this field since these studies took place. Students were also able to hear and meet famous Criminologist Professor David Wilson who spoke in great detail about his investigation into the case of Jack the Ripper ahead of his BBC documentary being released next week which was very exciting! Overall, this conference was an excellent opportunity for students to indulge their intellectual curiosity and delve deeper into specific A Level topics. 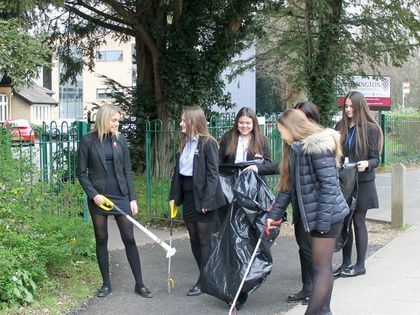 Our schools have been getting involved in the Great British Spring Clean. Dartford Borough Council, who are supporting the initiative provided extra equipment to help students gather litter from the local area. 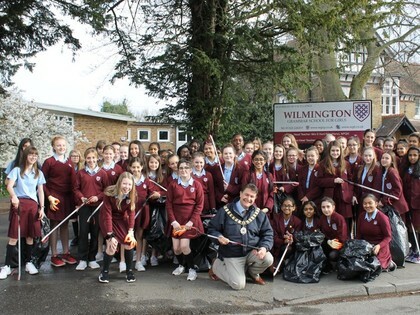 Students from both schools collected discarded rubbish from across Wilmington Village and up onto Dartford Heath – making a huge improvement to our local environment for all to enjoy. 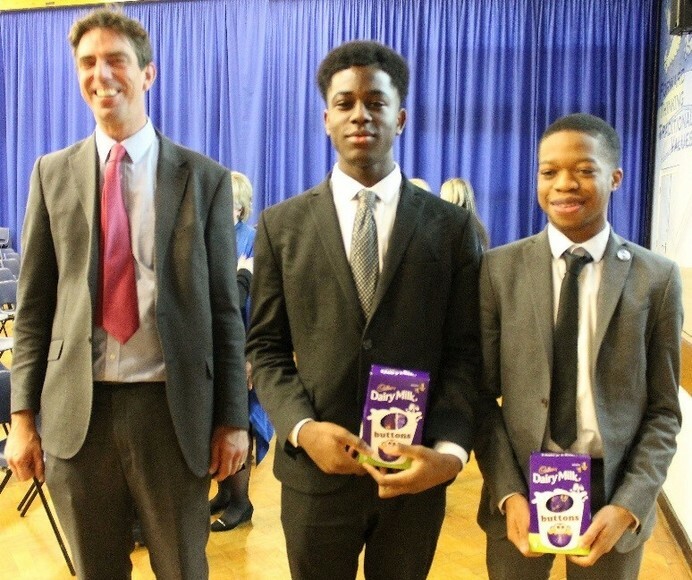 The Mayor of Dartford attended, playing a very hands-on role in support of our students’ endeavours. 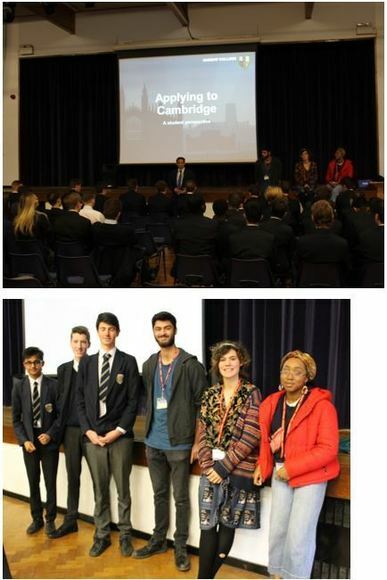 Student Alumni Alice Wenban returned to talk to our current students regarding the application process and opportunities provided by Cambridge University. Alice is in her second year at Cambridge and is perfectly placed to understand the seemingly dizzying range of post A Level options available to our students. With first-hand experience, Alice offered insight into interview requirements, subject overviews and university life. WG6 Year 12 students travelled to Detling Showground for the UCAS Higher Education conference. Initially we were a little bemused by the fact that our coaches were driving through wind-battered open fields on top of the North Downs. Finally we arrived at one very large building which couldn't have been more contrasting. 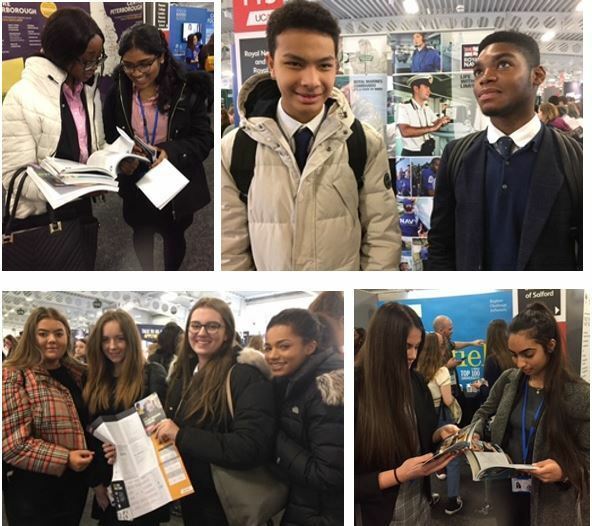 Every single University and Higher Education provider from across the UK was there along with thousands of 17 year olds! Our students enjoyed talking to universities and definitely came away with lots of ideas and fresh inspiration. Many of our students also seemed to have a competition on who could collect the most prospectuses and any free sweets. They will start their applications later in the summer. 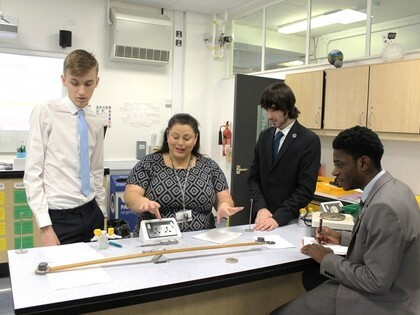 Y12 Physics students have been challenging their learning on Forces during a practical lesson. 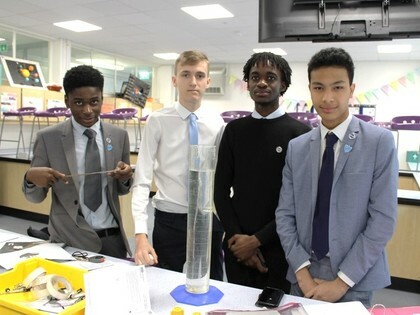 Students undertook three separate experiments; terminal velocity, investigating the bridge crane and determining density. 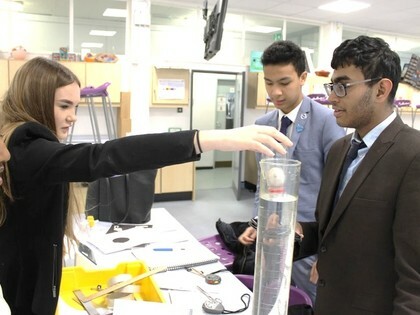 These experiments allowed students a practical insight into Forces in action.